Select the Product you want. ➫ How to send bulk sms using Mac Bulk SMS Software (Multi-Device Edition)? Step1 : Enter Recipient Number and click on 'Add' button. You can also Load Recipient Number using 'Load Contact file' or 'Add or Paste numbers manually'. 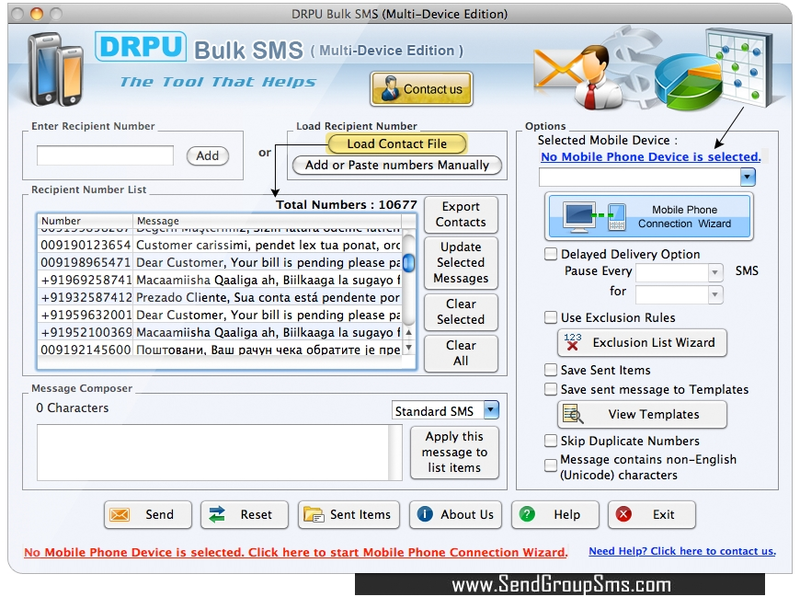 Mac Bulk SMS Software (Multi-Device Edition) broadcast unlimited text messages from your Mac system to number of cell phone devices via connecting multiple GSM technology based mobile phones. Text messaging program provides delayed delivery option which helps in controlling and customize the load of broadcasting SMS. Software provides option to skip duplicate number entries and allows you to keep in touch with your family members, friends, customers and others by sending group mobile sms. Using Mac Bulk SMS Software (Multi-Device Edition), you can send Notification, Standard messages, Event alert, Stock update details, Product promotion details, Reminders, Job alerts, Greetings messages, Business campaigns and more. Bulk SMS sending program retains list of contacts or groups using exclusion list wizard option which you may need to exclude time to time during sms sending messages. Pc to mobile sms sending program allows you to save sent text messages details to templates which can be viewed later whenever requires. Mac message sending program provide option to send text sms in non-English (Unicode) characters over worldwide location. SMS gateway software controls and customizes the load of broadcasting SMS using delayed delivery option. 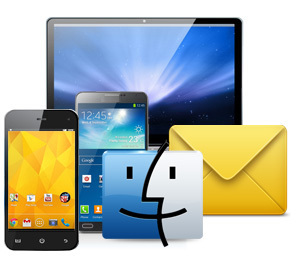 Bulk SMS Software for apple Mac OS X delivers standard messages as well as notifications from your GSM mobile connected with MAC machine. Provide option to communicate with multiple people by sending group sms without any internet connection. Increases your business revenue and sales by sending group SMS to your global mobile customers. Reach your customers base at any time and place by broadcasting bulk SMS. Provides complete mobile marketing solution to promote your products by sending group SMS.